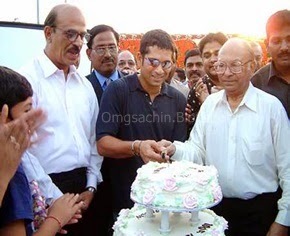 Omgsachin Brings you Brings you EXCLUSIVE Never Seen Before Images of the Little Master Sachin Tendulkar From the Year 1999 - 2013. 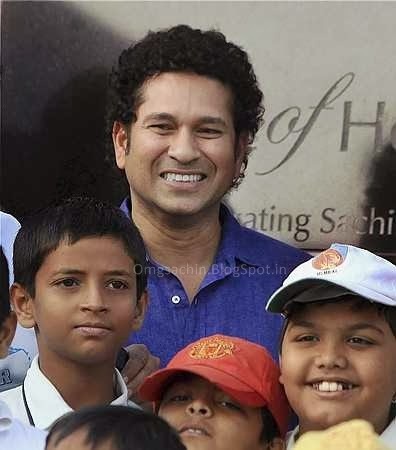 "Sachin Tendulkar's Presence to Boost Youngsters At MRF Pace Foundation" on Friday. The Moment I saw the Tweet I Made a Couple of Calls to my Friend Informing this News & asking them if anything can be done to meet Sachin This Time in Chennai. 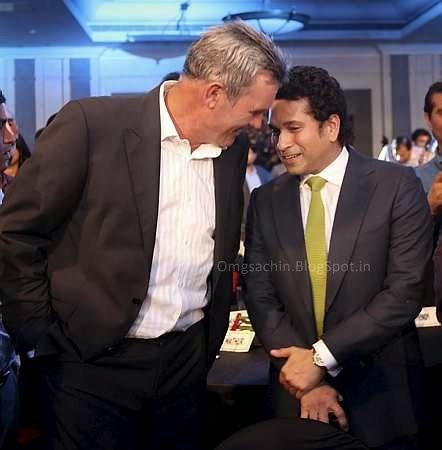 Throughout the evening my entire mind was occupied with the Thought of Sachin arriving to Chennai. 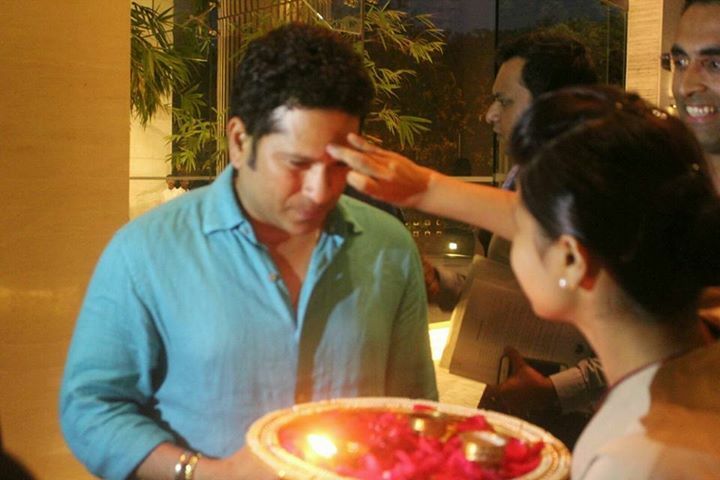 Around 9PM on Thursday I saw Pics of Sachin arriving @ the Hotel on the "Hyatt Regency Facebook Page". Post that I made up my mind that whatever happens I gotta make an effort to meet Sachin This Time. 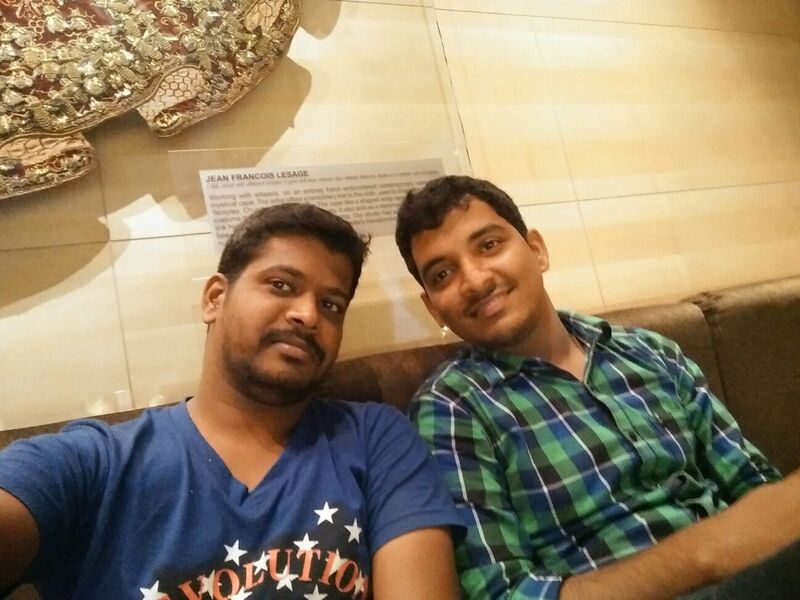 The Next Day Morning at 7am Myself & My Cousin Arvind Both Decided to go to Hyatt & wait in the Lobby to Try our Luck. We Reached the Hotel sharply at 7.45am & Waited till 9.15 am. 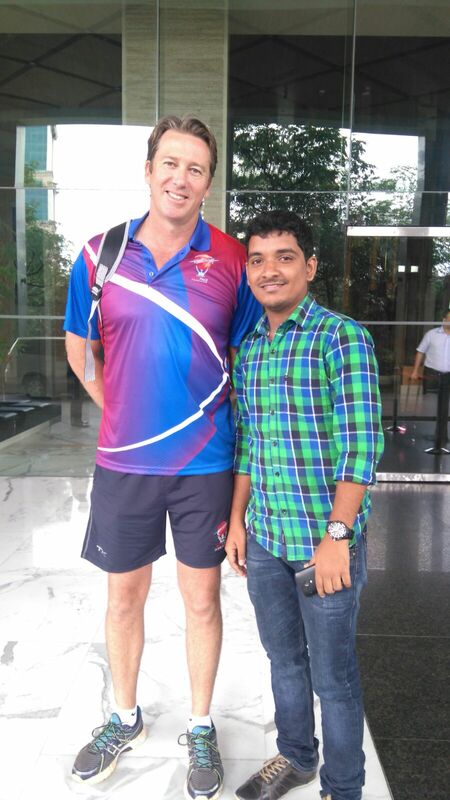 There was no signs of Sachin till that point of time.. At 9.20 am we Decided to leave the Hotel & at the entrance we saw Glenn McGrath waiting for his Car. We both Went & Took Pics with him & left home. After reaching home at 9.45 am I Decided to Give it a Try by Going to the MRF Pace Foundation . I Googled for MRF Pace Foundation & Identified that it is Located in Chetpet. I Boarded an Electric Train at 10.25am & Reached Chetpet Station by 10.45am. I Enquired the Auto drivers at the Railway Station for Route to the MRF Pace Foundation, It was Around 2Kms from the Station. After Asking People on the Nearby Shops Managed to Reach the School by Walk at 11.20am. 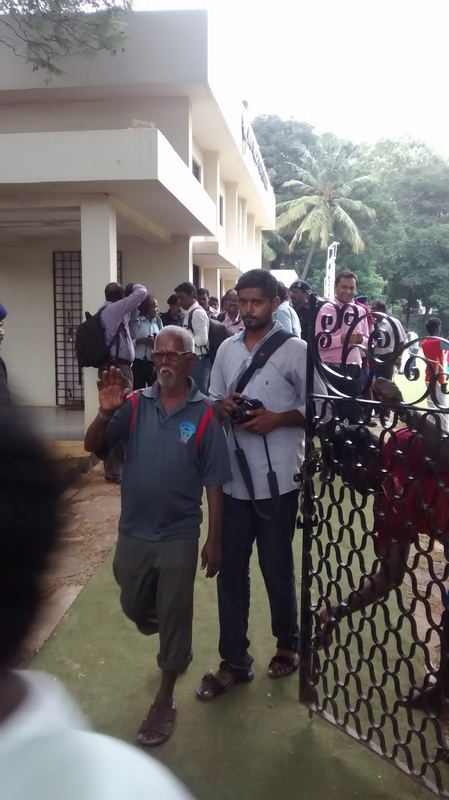 The Security at the Gate Stopped me at the Entrance, after convincing him that I am here to attend the MRF Event he agreed to let me in. I Walked for Half a Km inside the School Wandering for the Location of the Event. I Reached the School Ground & Saw around 50 Students Enjoying their Physical Education Period. I asked the Teacher there about the Venue. I could See from here that in a long Distance there was some Crowd, he asked me to go there. I was too excited & nervous since I am the only one walking across the school ground. When I Reached near the Venue where Sachin & McGrath were Interacting with Youngsters I could See a Small Fence In-between me (inside the School Ground) & the Place Where Event was Taking Place. I was Trying to Find out a Way to Cross that Fence & walked to a few Distance & there I saw a small gap in the fence & I managed to Cross it. 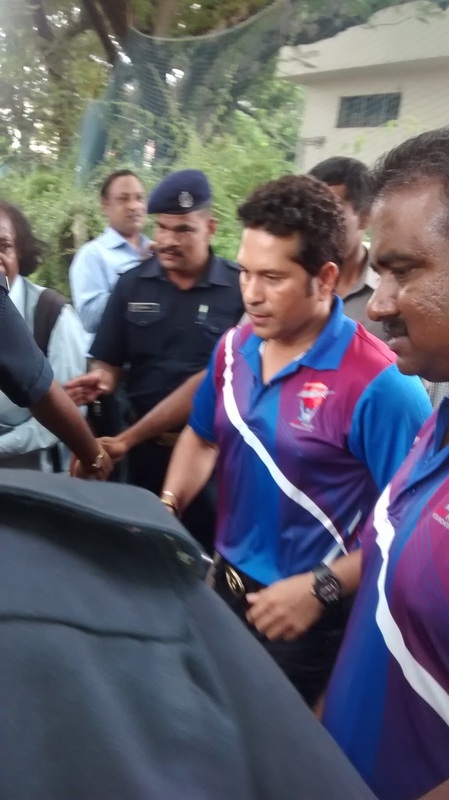 When I Reached the Venue Gate, Sachin was about to Leave from the Venue. 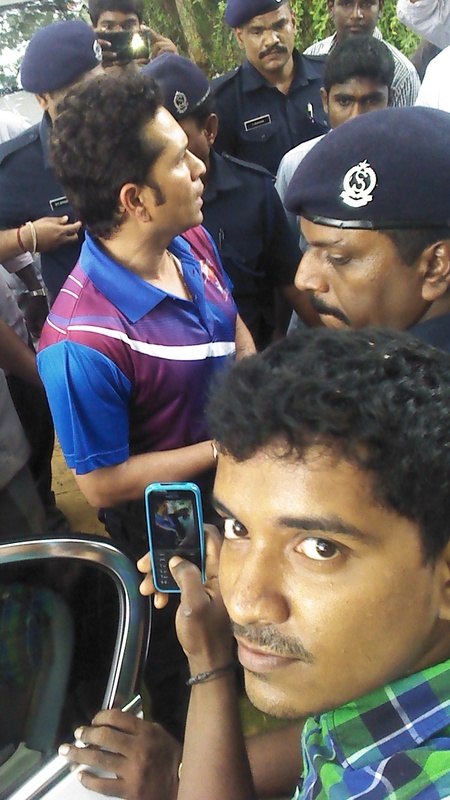 I could not believe my Eyes Sachin Tendulkar was just Standing just 10 Metres in front of me. I Tried to Click some Pics & also Tried Clicking Seflies. I Came Out of the School & Reached the Station again & came Back home at 12.30pm. 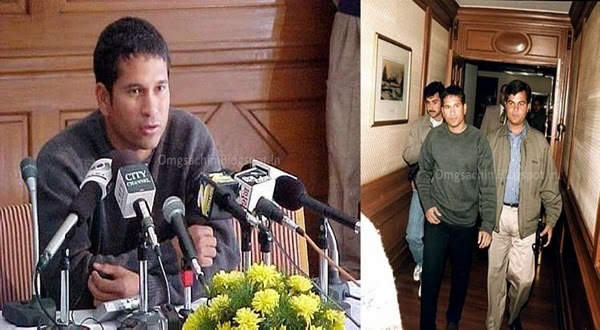 After Sometime I Saw Some Pics of Sachin & McGrath Addressing the Media at Taj Club House & I was Sure & Confident that Sachin will not Leave to Mumbai in the Afternoon so Around 1.30 PM Myself & my Friend Vinod Both Decided to Go the Hotel again at 3.45 pm. From 7-8.15PM there was Around 500 People Entering the Hotel to Attend some Big Wedding Ceremony. Once the Crowd Stopped Coming, the Security & the Driver was Alerted & by Seeing their Activities we were Happy that Sachin is Gonna Come Down Any Moment. 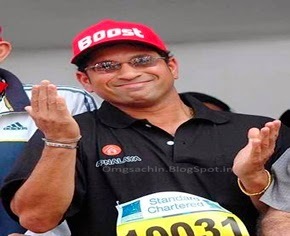 Exactly at 8.30 PM Sachin Came Down from Some Unknown Secure Entrance & Boarded the Car. 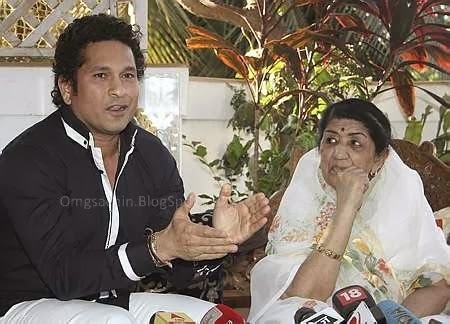 We Both Were Disappointed & Saddened that Despite so Much Of Wait we Could not Meet Sachin. We Both Suddenly Planned to Follow the Car & Ran to the Parking Area to Get the Bike. At the Same time it started to Rain Heavily. 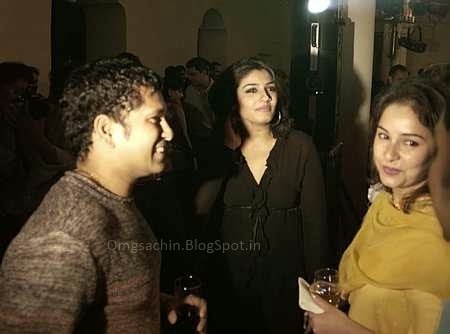 Nothing Bothered Both of us, all we wanted was to Meet Sachin. Before we came out of the Hotel the BMW was Long Gone. 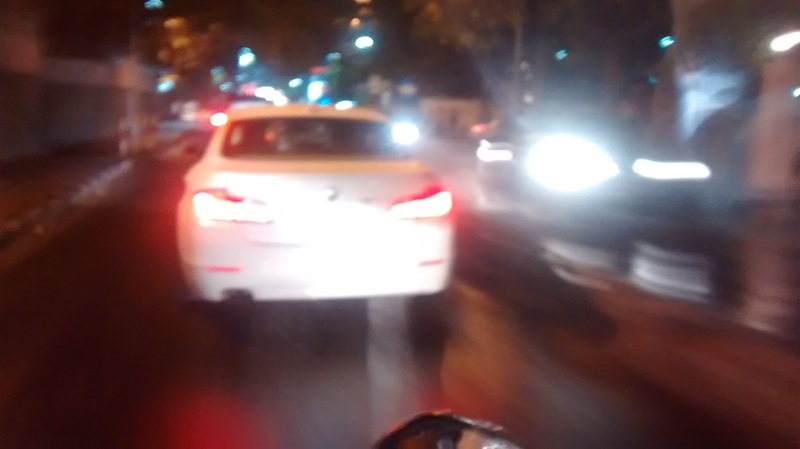 Despite Heavy Rain & Traffic Vinod Drived so Brilliantly that we Spotted the BMW at the Signal. We Both Followed the Car in Heavy Rain. The Car Stopped at his Friend's House which Was Surrounded by a Dozen of Police . We were So Frightened since we were following the Car & also Police were There. We Returned to a Nearby Shop & Waited for the Rain to Stop. 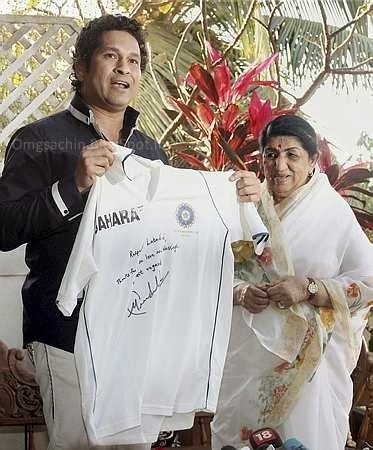 We also Planned to take one Final step to see if we can meet Sachin. We Planned to Go to the Domestic Terminal at 3.30am in the Morning. When we Reached Home the Time was 10PM. But Unfortunately due to Heavy Rains we Could not go to the Airport. But it was a Great Experience the Entire Day. 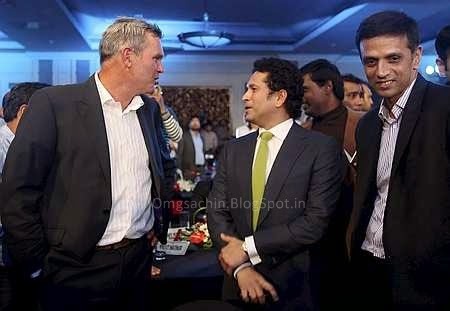 We Were So Disappointed that we Could not Meet Sachin. 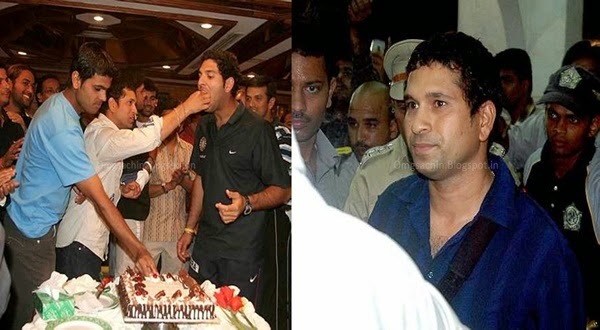 As Sachin said "Chase Your Dreams, they Do Come True". Will Continue to Chase the Dream of Meeting him again. 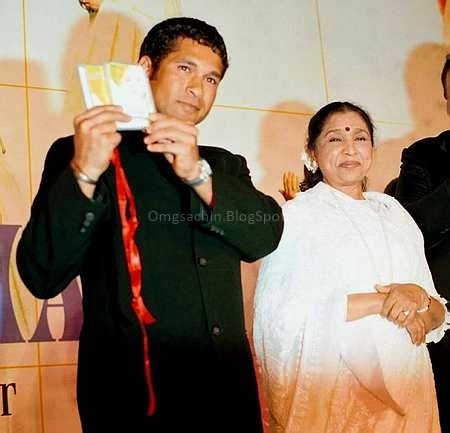 "Omgsachin" Brings you EXCLUSIVE Never Seen Before Images of the Little Master Sachin Tendulkar From the Year 1999 - 2013 The Never Seen Before Collection Includes Pictures From Various Events, Matches, Award Functions, Training Sessions & ODI & Test Matches Many More. 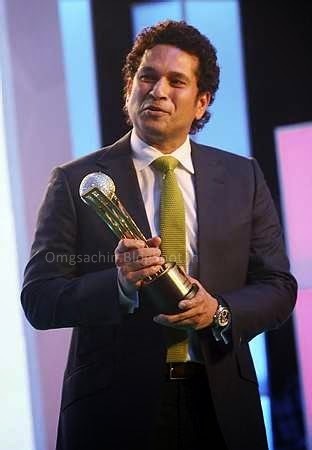 One of the greatest batsmen of all time, the iconic Sachin Tendulkar was voted Cricketer of the Generation on Friday as he staved off stiff competition from spin legend Shane Warne and all-rounder par excellence Jacques Kallis at the ESPNcricinfo awards function in Mumbai. Retired batting great Sachin Tendulkar is optimistic about the chances of the under-performing Indian team successfully defending its World Cup crown next year, and wants the fans to lend it a whole-hearted support. "I have no hesitation in saying we are a talented side and there are some special players in the team. I know that they have not been able to produce the kind of results or rather live up to the expectation of the people, but things can change," the cricket legend said in Mumbai. "This is the time that I feel the team requires support. When you are winning, you are in a good frame of mind but when you are not winning and when you know a billion people are behind you, with you, the mindset changes immediately. That is the need of the hour." "I have full confidence in our team. 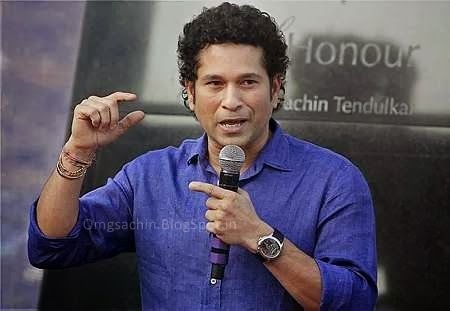 I am sure we will have a good time," said Tendulkar at the launch of the special edition of silver coins with his face, name and signature embossed on them. Of late, the Indian team has struggled with form, losing two ODI series against South Africa (lost 3-match series 0-2)and New Zealand (lost 5-match series 0-4) and failed to qualify for the final of the recently-held Asia Cup in Bangladesh. The batting great, who was a part of the Mahendra Singh Dhoni-led squad that emerged triumphant in cricket's show-piece event in 2011 at home, recalled how the Indian team had struggled before finishing runners-up to Australia in the 2003 World Cup in South Africa. "I remember in 2003, the New Zealand tour before we got to the finals (of World Cup) wasn't a great one for us. We went to South Africa and there were some matches that we lost. 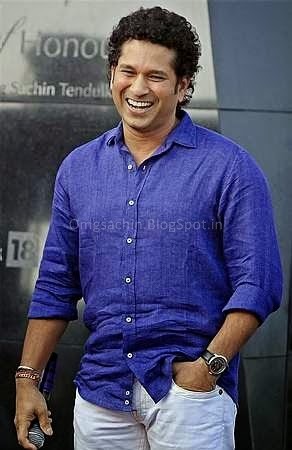 And then we all started thinking that we need to plan differently, play differently and it worked for us," said Tendulkar. "It is not about just the failures but the journey from failure to success and getting into the habit of winning, the things you are supposed to do. If you follow that process, the result takes care of itself. We just followed that process and we were able to get to the finals," he said. 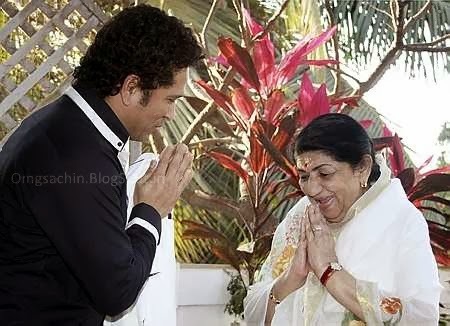 Tendulkar said he shared a good rapport with the youngsters in the team later in his career when he was its senior statesman. "I used to jokingly tell them you should wish me good morning sir. We shared a wonderful relationship. They all treated me like their elder brother. It was never a one-way traffic. I told them you have fun with me also. I used to pull their leg and they had the freedom to pull my leg. I thoroughly enjoyed playing with all the youngsters," he said. 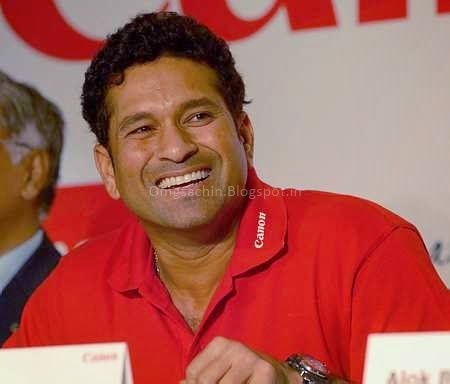 Tendulkar, the only player to score 100 international centuries during his 24-year career, conceded that scoring the last ton, after an agonising wait was tough due to the expectation and mounting pressure from all quarters. "(For the) first century there were no expectations and people were enjoying my batting. Even from my side I didn't know that there were 99 hundreds to follow. When I scored my 100th hundred, it obviously took a while. "So many times I got close to scoring the hundred and so many had written articles that I have to do this and that, not knowing that I have 99 (tons) behind me. So it is tricky as I felt both were important. Pressure of scoring the 100th hundred was hundred times more," he said. According to the 40-year-old more than scoring centuries, contributing to the team's success was far more important. "Scoring 100 hundreds was something that I never thought, I just wanted to go and bat for India and win matches. I remember one game against Sri Lanka at Cuttack and I was batting on 97 not out. I was on strike and the Sri Lankan captain had put all the fielders behind and when Dinesh Karthik was batting all the fielders were up. 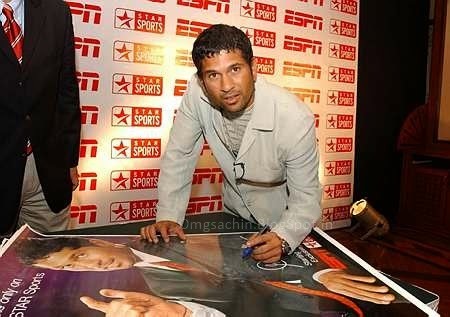 Tendulkar said during his intense practise sessions he concentrated on things that ultimately led to his own satisfaction. "Sometimes I was happy when I played just 25 balls. I knew that everything was absolutely fine. I need not complicate things. And that is when I wouldn't push myself and bowl to others and work with other players. "If I felt I should work on my forward defence, then I would work on my forward defence. It was all about what my heart told me. It was all about my satisfaction. "So many things are judged by others. The performance, the number of runs scored (etc) can be judged from outside, but satisfaction is always judged from within. No one else would know and only I would know whether I was satisfied or not. It all boiled down to that." "I remember once we went to New Zealand and were playing a couple of T20 games before the ODI series started. I requested BCCI that I will go with the team and practise there for six to seven days. And I requested Gary Kirsten (then coach) to put up a bowling machine. "So whatever number of deliveries the entire team batted, I batted the same number of deliveries facing bowling machines, by myself. It was about my own satisfaction and not the number of hours or minutes or the number of balls that I faced," he explained. The creator of a plethora of world records in Tests and ODIs said he admired West Indies legend Viv Richards but decided not to emulate him after an unsuccessful attempt. "I did watch once (a video of) Vivian Richards's technique the previous evening (before) going in to bat. I was trying to pull everything and hook everything. That is when I decided I am just going to watch, but not try and emulate, and that in the next innings, I needed to play the way I know. "They always will be your heroes and heroes would continue to be your heroes in whatever stage of life you are in. You have immense regard for them. 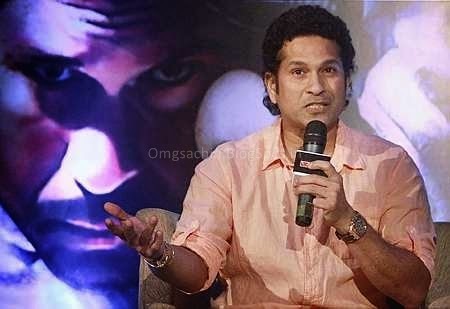 It is always nice to watch their innings, but one thing I knew was that I should not try to play like that," Tendulkar said. 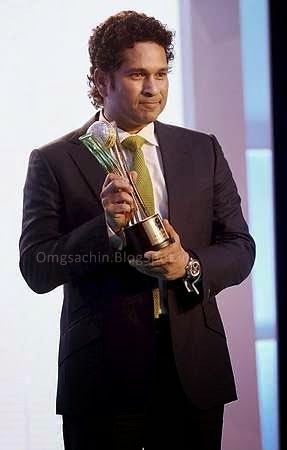 Tendulkar said he did not keep a tab on his peers but just looked at how they scored runs and picked up wickets. "No, I would not obviously follow the score book, ball by ball, what is happening with Australia-West Indies match or New Zealand-England, whatever. If somebody scored runs then you would see who scored runs and how did he bat. If somebody bowled well then watch that spell. "If we play against this bowler, this is probably what he might end up doing against us, so prepare accordingly and also think about the next series and those kind of things." Asked about the innovative shots and the way the game has been changing, the Bharat Ratna recipient said, "Like any other sport, cricket is also changing. The shots (being) played today, I don't think anyone was playing those shots in 1980 or 1990 or even 2005. "When Andy Flower started reverse-sweeping consistently and played that in Test series when he came down to India in 2001, I felt he was 10 or 12 years ahead of the other batters as far as playing that shot was concerned. "Amit Mishra was bowling in England to Alastair Cook outside the off stump, and Cook actually had to play a couple of reverse sweep shots which, I don't think, any batter would have played in the 1980s. "As the time goes on you are prepared to try out new things and have a new approach towards the game. Changes are going to take place. You just have got to accept that. If cricket was played differently in 1940s, players from 1960s or 1970s played differently. Similarly, that cycle is going on. Changes are inevitable." 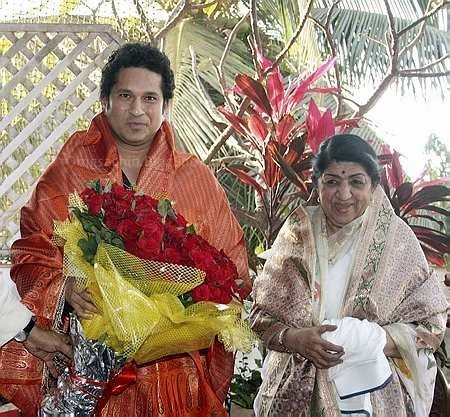 Tendulkar had a fair share of being at the wrong end of dubious umpiring decisions during his illustrious career but did not hold any grudge against the erring officials, some of whom had even come later to him and apologised. "I did (vent my anger). I am a normal person and I have ways to take my frustration out. There were times when I got angry and doing that on the field was not the right way to handle things. I didn't get carried away with anything if somebody has made a mistake. "There have been times when umpires have come to me and admitted their mistake. I don't hold any grudge against them. It takes a lot to come and say that you have made a mistake. 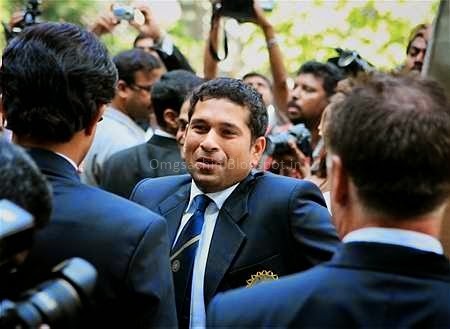 The best result out of that is you continue to remain good friends and that is what is important to me," Tendulkar said. 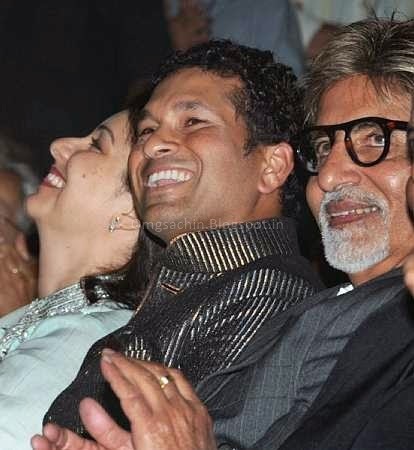 Tendulkar said he was enjoying his retirement from the game and was able to spend more time with his family. "Life is relaxed. I am getting more time to spend with my family. In the last 24 years I did get (time with family) but it was (always) in the back of my mind that I had to go to Chennai or Bangalore or Kolkata to play a match and (then) you start preparing yourself. 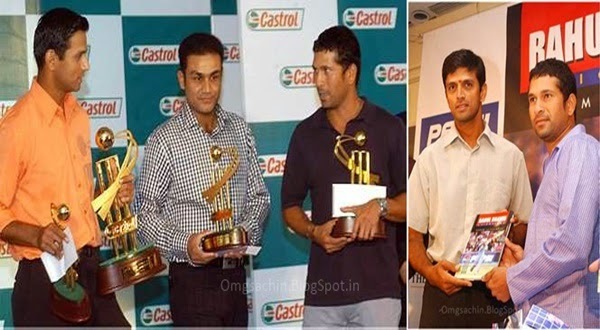 "Your mind is always preoccupied on how you are going to bat or play in a particular series. But now I don't need to think those things and I am having quality time with my family. I have played cricket with my son but not with the season (cricket) ball," he said. 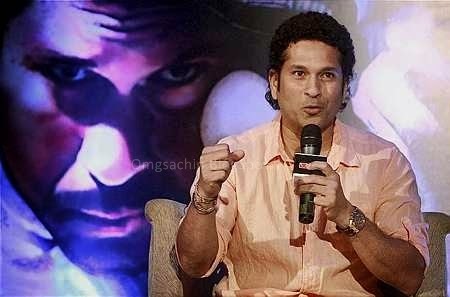 Tendulkar said he has no regrets or unfulfilled ambitions. "We had won the World Cup, won IPL, won Champions League (as Mumbai Indians team member), won Ranji Trophy (as Mumbai player in 2012-13 season) and won the last Test series (against West Indies) also. "We became the world number one Test playing nation at that time when we won the World Cup. That journey itself was so fantastic. We all worked so hard and pushed ourselves. Before I retired, we were the number one Test playing nation. "So I don't think I have got any complaints from cricket or any regrets that I should have done this or should have done that. I thought I was able to do everything. When I decided that this would be my last tournament, God was kind enough to give me something special." Special edition Sachin Tendulkar silver coins, with his face, name and signature embossed on them, will be launched today in the presence of the Indian cricket legend himself. 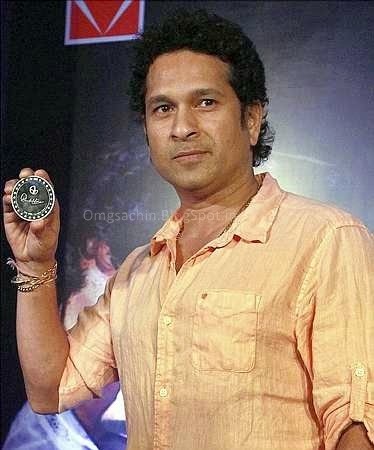 The special edition coins would also have the batting icon's name at the top, 200th Test match-2013 written below, where his face is engraved, and "ST" logo, as per the details in the invite issued for the launch function. 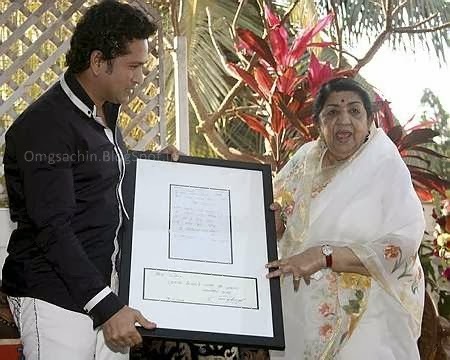 Legendary playback singer Lata Mangeshkar on Sunday said that Sachin Tendulkar should have continued his cricket career and she hopes that he will continue to do well in other sports as well if he chooses to play. 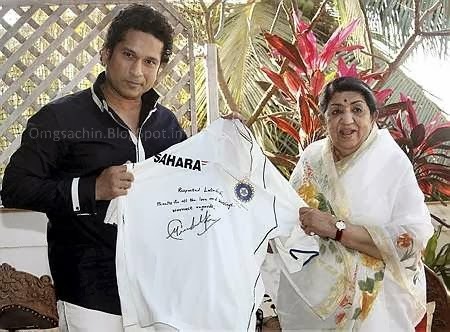 “Sachin is a very good human being. 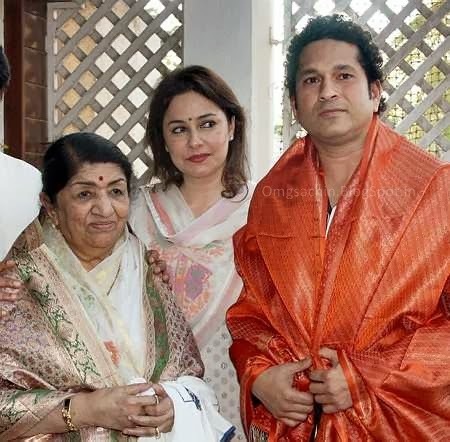 I wished he should play other sports like golf in which he will do equally well,” Mangeshkar, who was accompanied by the cricketer at MNS chief Raj Thackeray’s residence in Mumbai, told reporters. 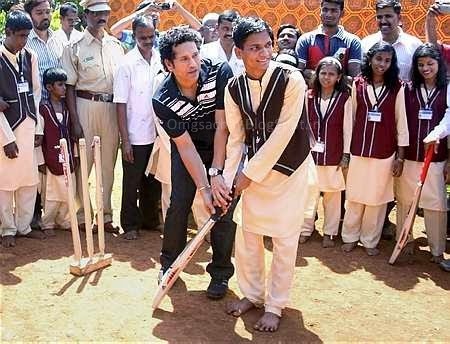 Retired cricket great Sachin Tendulkar today said he was fascinated by the way visually-impaired play the game he dominated for close to two-and-a-half decades, adding that has learnt a few things from them. "I inaugurated the blind cricket tournament about 14-15 years ago in Mumbai and I was fascinated by the way they play cricket, because you just hear and react to that. And you score runs and get wickets and you feel all those kinds of things. 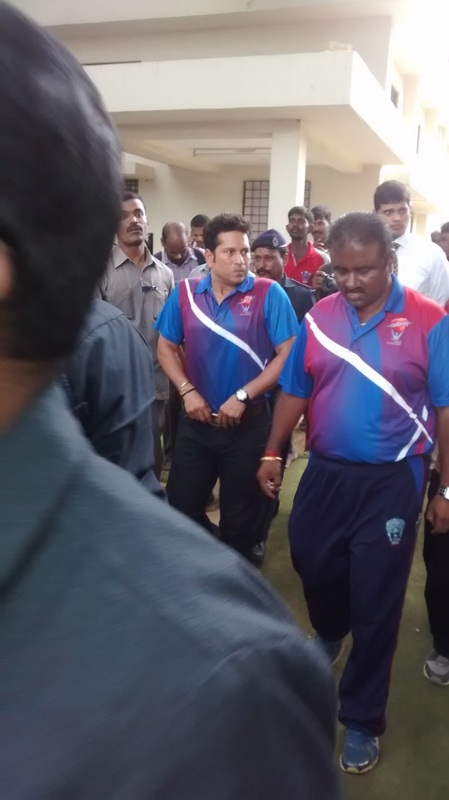 They are unbelievable and I was fascinated to see all that," Tendulkar told PTI here today. "It was a new experience for me and I learnt a few things from them. I was glad to be there and this was immediately after we had won the Ranji Trophy and the next day it was a different form of cricket. Two different things but the crux of the whole thing is that they are as passionate about cricket as we are and that is what matters," said the 40-year-old cricket legend. 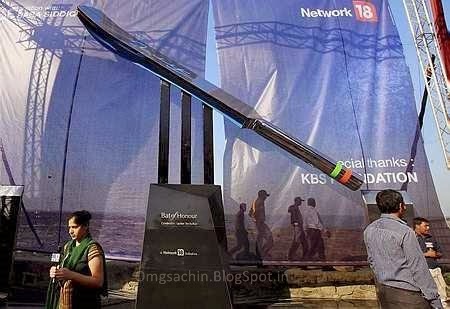 The Network 18 group on Sunday paid rich tribute to retired batting legend Sachin Tendulkar, unveiling a monument in the form of a large steel bat in Mumbai. The monument has been installed on the Carter Road Promenade - close to Tendulkar's residence. It is the largest steel bat in the world - standing more than 25 feet high and weighing over two tonnes. 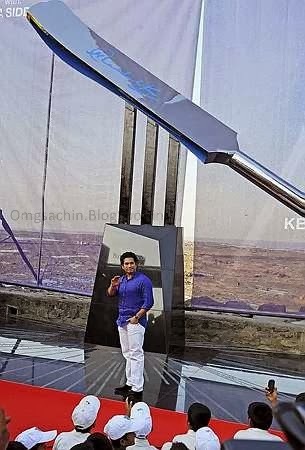 The "Bat of Honour" is crafted out of stainless steel- and Sachin's emotional farewell speech- has also been etched on a plaque below the installation, to symbolise the flawless cricketing career of India's master blaster. Copyright © 2013 OMGSACHIN and OMGSACHIN.